Sanjmed Medical Equipment Distributors boasts an extensive range of high quality plastic and stainless steel medical hollow-ware for use in hospitals, veterinary clinics, general practitioners and beauty industries. This range is especially designed to make the day-to-day activities of doctors, nurses and veterinarians more convenient. Each product design takes ergonomics and hygiene factors into consideration in order to give you a quality product that is suited to your work environment. 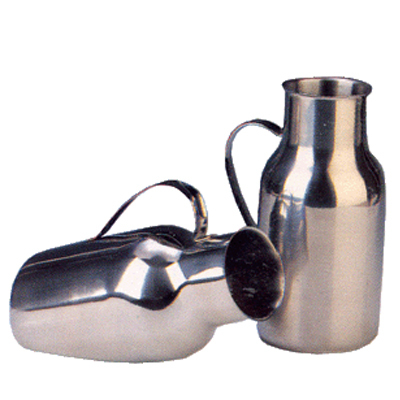 Medical Hollow-ware is a special range of products that is manufactured for healthcare and hygiene purposes. And you have the option of choosing between plastic and stainless steel versions. Stainless steel is a hygienic material that is easy to clean and prevents germ build up. This is particularly suitable for products such as bedpans, urinals, instrument trays and medical bowls. Plastic is the ideal material if you want to minimise breakage and damage to products such as jugs, beakers, bowls, compartment trays, etc. Plastic products are ideal for situations where patients are unstable or shaky and are unable to hold the products firmly or steadily. Such plastic products are durable and long lasting so if they fall, they won’t break or dent therefore it doesn’t need to be replaced often. Many of our products come in different sizes because we understand that you have different requirements. 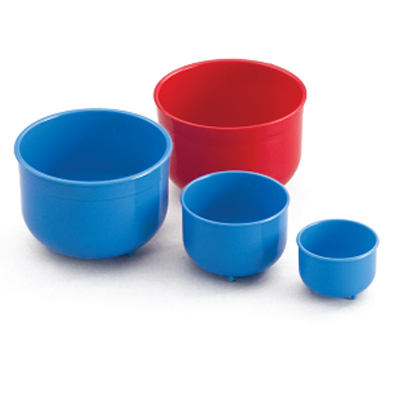 Therefore, some products such as the lotion bowls, kidney dishes, measuring jugs and gallipots are available in small to large sizes. To check these sizes, click on each product image to check the specifications and sizes available. Comprehensive details and images of our range of medical hollow-ware can be viewed on the links below.